Comprehensive protection that keeps up with your industry. General liability insurance in Waynesboro, PA, Greencastle, PA, Chambersburg, PA, Hagerstown, MD and surrounding areas. Licensed in PA and MD. No matter the size and nature of your business, there are always uncertainties. We’ll work with you to determine your business risks and we’ll put together an insurance package that makes sense for your business. When you look around your business, it’s obvious that you need to protect against damage to your buildings, equipment and staff. Less obvious–but no less important–is the risk of damage to other people and businesses, which could leave you paying out large sums if you are held liable. General liability insurance mainly covers bodily injury to people outside of your business and physical damage to their property. A few exceptions to this principle include data loss and reputation damage (for example, if one of your business’ staff members defames a client). It’s important to note that general liability coverage doesn’t apply to cases where you are sued for giving inadequate professional advice. Errors & omissions insurance (E&O) can help to protect your business from that specific type of risk. Your business needs general liability insurance if you ever meet clients (at your business or theirs), or have any physical access to their equipment. Additionally, general liability insurance may be a requirement before some businesses will sign a contract with you. General liability insurance is a common necessity for most businesses. We can help you to determine a policy that works for your unique business. 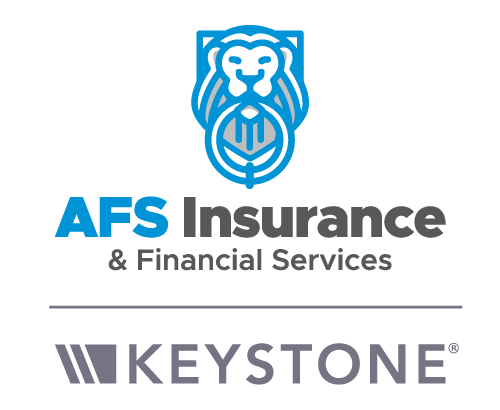 AFS Insurance & Financial Services, Inc is an independent insurance agency offering a comprehensive suite of insurance solutions to protect you from the unexpected in Waynesboro, PA, Greencastle, PA, Chambersburg, PA, Hagerstown, MD and surrounding areas. Licensed in PA and MD. We are licensed in PA and MD and can write insurance in all 50 states under our Keystone Partnership, including Greencastle, PA, Chambersburg, PA, and Hagerstown, MD. © 2019 AFS Insurance & Financial Services, Inc. All rights reserved.